Rude emails come your way most days. They may not blatantly “rude”, but they are rude in the sense that they annoy you one way or another. Either the sender is demanding things from you quickly, or interrupting you when you want peace and quiet, or they are poor writers who are just being downright blunt. Whichever way you look at it, that is all incivility which we could do without. You might think you can cope. Indeed, you may already have tactics to deal with the annoying and frustrating emails you receive. However, new research shows this is a much wider problem than you might anticipate. Professor YoungAh Park from the University of Illinois has investigated the impact of incivility in emails and discovered that it has a ripple effect. A rude email you receive affects you, of course, but it also has an impact on your colleagues, your friends and your family. Furthermore, it seems that a rude email you get can affect the work performance of your partner, for instance. Here’s what happens. You get some rude emails and you get stressed. Then you go home or go out with friends or colleagues and you “vent your anger” which transfers your stress to them. 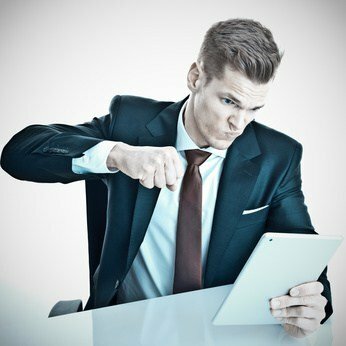 They absorb some of that stress resulting from email incivility in your workplace and their work performance in their office suffers as a result. Professor YoungAh Park is calling for a code of conduct for email usage in the workplace. Many firms use email as their primary source of communication and seemingly expect employees to be available anytime, any place. However, we have known for a long time now that checking emails outside office hours, especially late at night, has a detrimental effect on sleep. In France, companies with more than 50 employees have to publish their “email hours” and cannot send or ask staff to deal with messages outside those times. That law came into effect at the beginning of 2017. Another issue with emails is checking them too frequently. This just exposes you to rude emails on a more regular basis, providing a “baseline” of stress. Checking emails less frequently only exposes you email incivility on a small number of occasions. There are three things you can do to cut down on the impact of rude emails. Make sure you have an email schedule. Checking your emails just once or twice a day is enough. Do it at the same time every day, establishing a routine. This will become a habit and you will only be exposed to incivility in emails or rudeness once or twice a day. Don’t check emails in the evening. This changes your “state” and means that in addition to all the other negative impacts of using technology prior to sleep, it means emotionally you will be unable to sleep well. You will go to sleep but your mind will be “churning” on what you read in the emails, meaning the quality of your sleep is reduced. Set an email strategy. Do you really need to send emails, or will a phone call or quick face-to-face chat do? Sometimes we use emails because it is quick and easy, but the lack of body language, the tone of voice and facial expressions mean that email lacks some of the fundamentals of good communication. That’s why we are frustrated, annoyed and stressed with emails because the sender didn’t really type what they would have conveyed in the “real world”. With a strategy that sets out which form of communication to use for which purpose you will cut down on email incivility because you will reduce the number of emails you send. Email programs are a brilliant tool, but we are not using them wisely. We are resorting to them as a “default”, and communicating in ways we would not do in person. The result is increased stress at work, poor sleep quality and all that entails for family, friends and business productivity. Unless we really start to manage email, it will begin managing us and increasing our stress and that of everyone around us.